Jenny Purrett is ba sed in the north east of England. 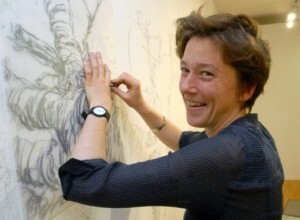 She graduated from Bath Spa University with an MA in Fine Art in 2009 and, as well as being a practising artist, is an experienced art educator. She is a qualified teacher and works freelance with a range of clients including pre-school, primary and secondary students, autistic and special educational needs groups, older folks and people with dementia, and Fine Art BA and BEd undergraduates. 2015 Where is the line? Residency at Berwick Visual Arts.